iPad Pro 9.7 testing, UMPC style. Like the time I tested my first UMPC in 2006 this iPad Pro 9.7 is giving me goosebumps. 682 grants of powerful tablet and keyboard with LTE and 256 GB of SSD. This setup costs about the same too. 1368 Euros after tax / $1178 in the USA. Holy cow it’s expensive, but because this is a loaner, I’m still smiling. I’m still testing too so I can’t give you a definitive answer on whether it’s the best ultra mobile PC out there right now but I like the keyboard design, the camera (finally up there with smartphone quality) and the size. Portrait typing [this part] is easy due to the size and weight. The onscreen keyboard is great too, but you already knew that didn’t you! Can I connect a USB drive and transfer files? No, because I don’t have the Lightning port adopter but then again I’ve just been testing the Samsung TabPro S and because I didn’t have a USB-C adapter I couldn’t do the same! The image below was transferred via iCloud Web on my PC. The iPad Pro 9.7 is the first Apple product I’ve ever been interested in so I’m really looking forward to testing it over the next week. Battery life is going to be important and I’ll try and work out just how much of an ultra-mobile nut you need to be before it becomes ‘value.’ I’ll be installing Office apps, testing the LTE and enjoying the amazing camera. I’m sure many of you out there have the iPad Pro already. If you’ve been using it on-the-go, let me know how the experience has been for you. And finally. After just this short amount of time I’m into that keyboard and finding it amazing. You see, Steve Jobs, you can make a good ultra-mobile tablet product with a pen and keyboard. 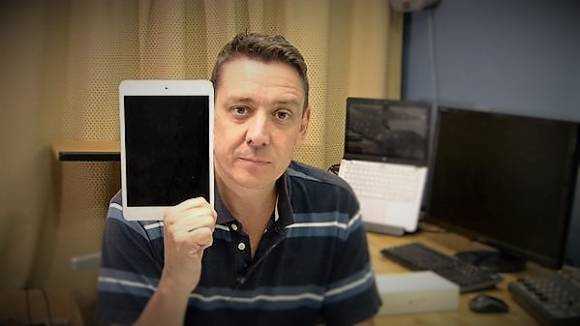 The iPad Pro 9.7. I had to laugh a little when I saw it on the Apple event stream. Pen, keyboard, ultramobile and ‘the future of PCs.’ Maybe. Maybe not. Over the years of writing at UMPCPortal there’s one thing that’s for certain – 10-inch screen sizes don’t work well for keyboards and therefore don’t fulfill the full set of user requirements for a PC.Despite that, the iPad Pro 9.7 is one pretty impressive UMPC. At 437 grams it’s potentially one of the most powerful ‘PCs’ per kilo you can buy. After a day of Dell Venue 11 Pro testing and Windows 10 tablet testing I finally had time to watch Apple’s WWDC keynote. You’re probably ahead of me already in terms of general Apple news (Apple Music was the highlight) but I wanted to highlight some IOS 9 features here on UMPCPortal. It’s a step in the right direction, and a sign that Apple might be working towards wider form-factor support. 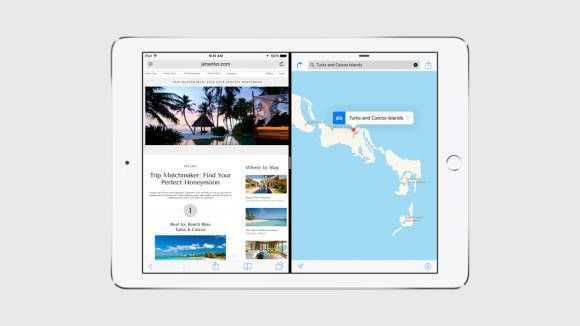 IOS 9 will include a slide-in secondary app window, a video-overlay mode, keyboard shortcuts for text editing, cursor control via an on-screen touchpad and, for the iPad Air 2, splitview mode. Minecraft Pocket Edition was released officially for Android a few weeks back, but Mojang, the company behind the popular indie game, had been ever silent about the iOS version. All we really knew was that they were working on it. 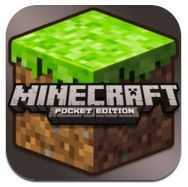 Well it seems that Mojang was planning on launching the iOS version at the Minecon event that’s being held today and tomorrow, but they put Minecraft Pocket Edition for iOS up on the App Store ahead of time to ensure that it would be readily available at the time of the announcement. They should have known that their ravenous Minecraft fans would spot it in an instant! Minecon is an event being held in Las Vegas by Mojang this weekend to celebrate the launch of the desktop version of Minecraft. “Launch?”, I hear you say, “but I thought Minecraft already sold over 4 million copies?” And thus the popularity of Minecraft becomes clear. Mojang has indeed sold in excess of 4 million copies of Minecraft prior to the game’s official launch. The game has been in a beta state for many months, seeing slow and continues updates from Mojang, and now what they’re calling the ‘launch’ version of the game is being released at Minecon, today, in fact. After numerous knockoffs, copy-cats, and fakes that have reached the App Store, the real Minecraft Pocket Edition for iOS is now available for download. 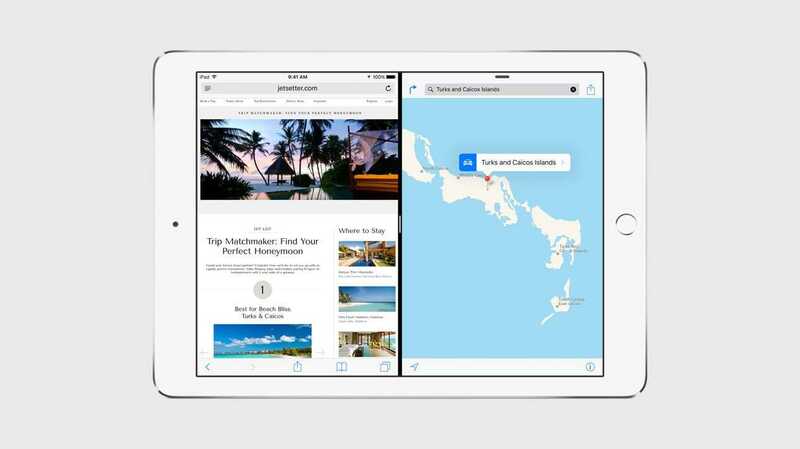 You can download it right here for $6.99 as a universal app that works on the iPad and iPhone. On Android, Minecraft Pocket Edition has a free demo, and I expect to see a similar demo come to iOS in due time. Both versions of Minecraft Pocket Edition for Android and iOS are still in the beta stage, much like the desktop version once was. Mojang plans to regularly update these versions until they reach a level that they deem worthy of calling the launch version. At the moment, Minecraft Pocket edition doesn’t support the exact same gameplay, and is certainly harder to control through a touchscreen than with a mouse and keyboard, but the charm certainly remains. If you haven’t played Minecraft before, I would recommend trying the desktop version of the game first. Minecraft Pocket Edition seems, to me, to be more of a ‘you can play it on the go if you can’t get enough of it’ sort of app, rather than an app that works flawlessly on a touchscreen. Not to say it doesn’t run well, but let’s face it, the game was designed to be played with a mouse and keyboard, and that’s how it plays best. Limited multiplayer support exists in Minecraft Pocket Edition and is thankfully cross-compatible between iOS and Android, but unfortunately the Pocket Editions won’t work with the desktop version. In order to build and explore in the same world with friends, you must be on the same WiFi network. I remember when I first started playing Minecraft. 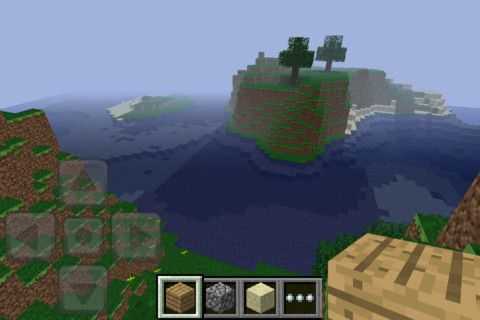 I was thankful that there was no iOS version, because I knew I’d get no work done if I could play Minecraft on my phone. Unfortunately, I’ve no longer got any place to hide. The Powerocks Stone 3 portable power pack for iPad and Galaxy Tab solves a problem. It’s all very well having a common interface for charging but when people break the specs it becomes less useful. 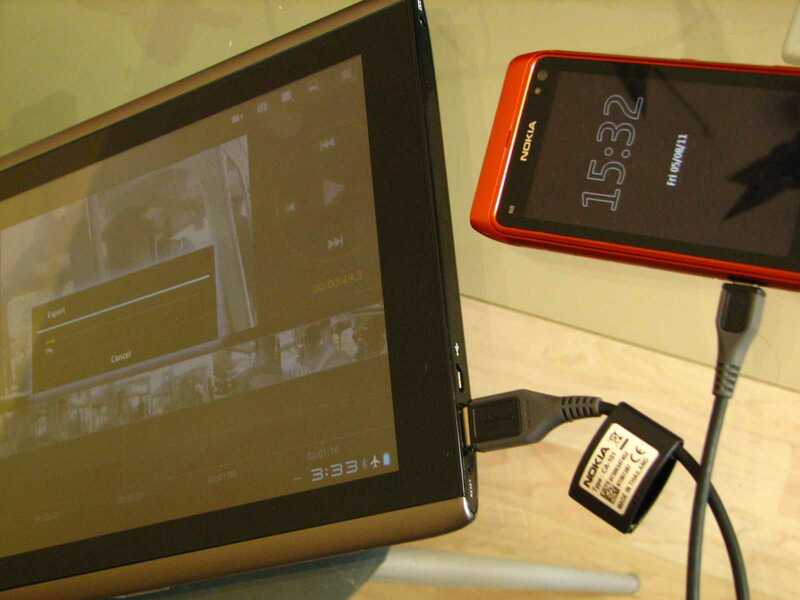 The iPad and Galaxy Tab charge using very high currents through a USB port that excedes the capability of the USB port you’ll find on nearly all laptops and PCs which means you generally have to carry the mains charger around with you. I found a portable power pack at IFA that supplies the correct current to allow full-speed charing on the go and it works. At least with the Galaxy Tab I tested with it. There’s no European distributor for the Stone 3 yet so you’ll have to keep your eyes open for availability. Alternatively, wait a while because I’ve got a unit coming from Znex. The Power-Pack IP is said to do the same so i’m looking forward to testing one that’s available right now. Here’s a video and you’ll find some images below that. I’ve been trying to use mobile operating systems for productive and full-computing scenarios for years and although things are getting better by the day, there are still major issues to be solved. Even the latest tailored hardware and software solutions are littered with unexpected restrictions, bugs, showstoppers and even costs. As I continue to test devices like the Acer Iconia Tab A500 and iPad I am making a list of functions that I can perform on a desktop operating system but not on a consumer or mobile operating system that you might find in a tablet. You’ll find an early ‘issues’ list here. I’m largely talking about Android or IOS here. The issues fall into 3 categories. Issues that are a result of operating restrictions. Operating systems will evolve but each evolution is taking 6 months to 1 year. Issues that are there simply because the third party software may not have been written yet. The latter category is one we can ignore. 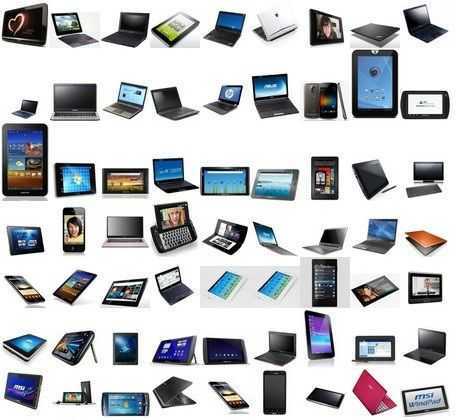 If tablets or other devices based on mobile operating systems are successful, the software will come. Lets look at the other two categories though. Video editing software and hardware. While software may exist, the CPU, hardware encoders and possible GPU acceleration may not be in place. The only exception is the ipad2, iphone4 and Ios which use the capabilities of the A4 chip very well. It may be quite a while before generic cross-platform solutions appear. USB host support. In some cases the platform only supports USB client. This affect many devices people commonly use like webcams, printers, video capture cards and many other device you’ll find in the high-street PC store. Keyboards on tablets. Arguable that this isn’t neccesary if you’ve already chosen a tablet but we’ll leave it in the list for discussions sake. High-capacity storage. 100+GB support is often required by those dealing with media. Other interfaces such as serial (often used for control and data collection) pci-express. USB based solutions can solve this if the drivers are built into the operating system. Bluetooth stack. Software is generally the issue here and it’s usually an operating system issue. Full web experience including mouse-over support. Some third party software may fix this is mouse or other pointer support is provided by the OS. Multi-user support with associated security mechanisms. Generally a core operating system issue. Extending device support through installable, pluggable drivers. Extended IP stack to support routing, multiple.interfaces and other IP features like file sharing protocols. This can be implemented in third party software. Multiple sound module support for live audio performances with pre-fade. This is also a hardware issue. For discussions sake, i’ve included a few software issues here. Office suites. Third party issue although core format support, encryption, media handling, drag and drop / copy paste, synchronization support can be due to operating system. Again, IOS is probably leading the way here. Software development tools. 3rd party issue that also requires keyboard, mouse and often, external / extended screen support too. Having listed a bunch of items above, we have to now ask ourselves whether they are important and if they are, are they likely to be fixed. Certainly the web browser issues are serious, the CPU power issues are too where the operating system runs on an ARM design and you have to think carefully about multi-user and expansion through third party devices on USB. That’s a big market! Issues like IP stack, multiple audio modules and extended screen are less important. Third party software issues will solve themselves as devices move into different markets and the customer-based there becomes big enough to support the creation and support of the software. As for the hardware issues, don’t expect 500GB storage soon but do look for alternative storage solutions via local or remote wireless connections. What about that keyboard though? Is it still an issue? For many operations, it’s a barrier. Tablets are popular now but is there still a desire for a keyboard. I’m sitting in front of a tablet writing this post now only because it’s got a full keyboard attached. I want a mobile video editing system with blogging client and full browser capabilities. The video encoding hardware on the iPad has shown breakthrough capabilities in iMovie for the price and size . Keyboard input is important though so I would want a robust keyboard solution. Offline blogging tools are required. Full browser too. The ipad2 + keyboard is getting very close to a usable solution for me but it still has showstoppers. Cabled internet for high-speed video upload, full browser with flash, mouse-over, side-by-side windows for drag and drop, external screen, ability to edit non-iphone videos in iMovie. I’m still a huge proponent of the smartbook and hope that we see more work going into these because that’s where I see most of the gaps being filled for me. Windows 8 could be the stepping stone to an interesting smartbook / convertible / slider design. Like the TX100 perhaps! What are the ‘gaps’ that you see between a full computing solution and a consumer mobile OS solution. In Part 1 of this series we put aside the idea of ARM-based video editing based on the requirement for higher levels of CPU processing power and tight coupling of hardware and software. Two very interesting solutions have just appeared that could dovetail together as an ARM-based solution and possibly enable 720p video editing on-the-go. Even if you haven’t got an iPad2, some new software for the Nokia N8 will enable netbook-level H.264 editing. 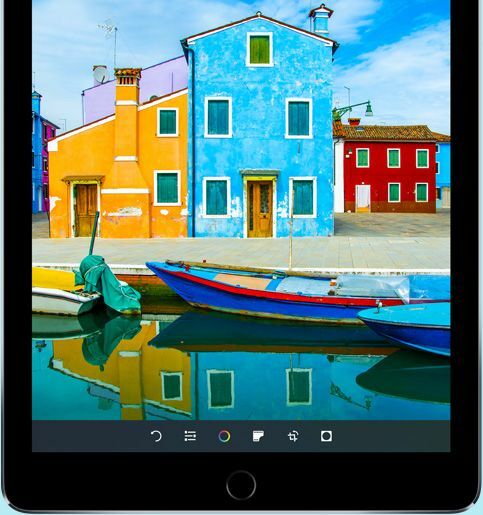 Last week Apple launched the iPad2 and it turns out that it’s quite the performer in terms of rendering 720p videos through the iMovie application. Based on the measurements we can only assume it’s got a hardware H.264 encoder that iMovie is using to speed up the encoding process. Because of the CPU and GPU inprovements, the editing process looks smooth too. You won’t be able to do b-roll cutaways but I bet you’ll see that included in the next iMovie release for iOS. 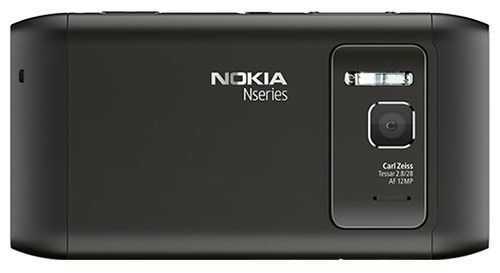 This morning I’ve also learnt about a new camera application for the Nokia N8 which enables 480p H.264 recording and continuous auto-focus. As I write this I’m rendering a titled, cross-faded 480p video taken with the CameraPro N8 application in Windows Live Movie Maker. It was a smooth editing process which might surprise some of you because I’m using a netbook to do it. Put the two together and, if iMovie can import and work with Nokia N8 videos (they are .mp4 files containing H.264 videos but there are some interesting advanced settings in the CameraPro app that can teak bitrates, codecs and sizes) then you might have the most flexible, ultra-mobile video camera, editing and posting solution yet. 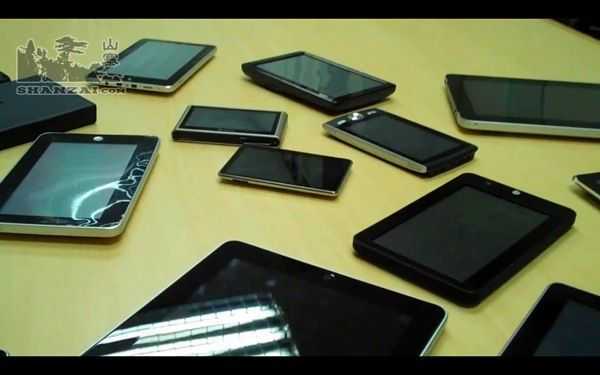 The iPad2 weighs 600gm (possibly 630gm for the 3G version) and the Nokia N8 weighs 135gm. That’s an amazing, seriously amazing sub 800gm, 1.7lbs and the total cost of both, with 3G, is under 1000 Euro. 720p-capable, 480p when on-the-go and direct posting to YouTube. Ongoing and outstanding: Does the iPad2 import videos from the Nokia N8 and can iMovie work with the imported videos without conversion? One would need to connect the N8 via the camera connection kit either via USB or by removing the Micro-SD card, slotting it into an SD card adaptor. I’m waiting to have this confirmed. I’m hoping that this author has the answer soon. Even if the Nokia N8 files don’t work with the iPad, it enables netbook usage which opens up the user to more software options. Windows Live Movie Maker can handle the 480p files without re-rendering for editing and output a 480p WMV file at a time ratio of 3.24 mins per minute of video rendered. For clips of 5 mins or less, as are many mobile videos, this is acceptable. Here’s a 480p video posted directly from the N8 to YouTube via Pixelpipe. It was a 92MB upload and the bitrate was just over 3Mbps. It would make sense to try this at 2.5Mbps and via a service that posts direct to the YouTube API to cut down time and failure-points. Obviously you should watch this in HQ and at full-frame size. Here’s the same source video edited in Windows Live Movie Maker with titles and crossfades. The output format from Movie Maker is WMV which means there could be some degradation in quality as the file is converted back to H.264 at YouTube. Update: I see some frame-rate and smoothness issues. You too? As a camera, the N8 just keeps on getting better and with developers continuing to write specialized apps for it you wonder why there aren’t many other good quality internet and app-enabled cameras around. It’s these sort of enhancements that just aren’t possible on closed-firmware dedicated cameras. We’ve been strangely quiet on Carrypad over the last two weeks. First of all there was CeBIT where we focused heavily on netbooks and pro-mobile products over at UMPCPortal and then the iPad2 hit the streets. We had some discussions internally about whether to buy one for our review but it was clear to us that there would be a hundred or more reviews out in the first week so we’ve held back and enjoyed the show. 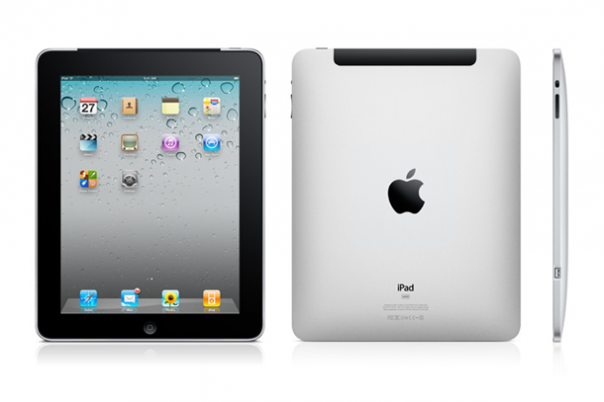 Availability of the iPad2 turned out to be tighter than expected. Surprise surprise! Online orders were only permitted on launch day and the lead-time for delivery has been stretching out beyond two weeks. Early adopters hate having to wait; Bloggers, journalists, software developers and competitors can’t wait so with supplies of entry level models limited in the stores, it was no surprise that buyers queued and some people, possibly one-in-ten, have spent more than they had planned. I like these guys, and not just because they’ve got a load of cool tech to play with! Shanzai.com appear to have some good contacts in the trade and a lot of experience with the market over there in the East. I’m almost in agreement with them on the ideal tablet size too. You may have a different opinion but check their article and video below before you make a decision. I’ve got a set of 17 criteria that I’m developing for use when I review devices and I thought it would be an interesting exercise to put the iPad and the Galaxy Tab together to see which one wins on this set of criteria. 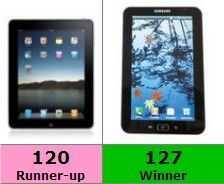 As you can see, the Galaxy Tab is the winner. End of story. The totally dumb thing about this result and most other static ‘ratings’ systems is that every user approaches a device from a different angle. No-one wants every feature in equal measure and the simple reason the Tab is (only just) the winner is because it shines in the mobility and phone/video category. Some users just don’t care about that so if you take those ratings away, the iPad is the winner. The winner shown above is with ‘all things equal’ and won’t help anyone choose a device. For average viewer ratings and a chance to put your own scores in, you can use this version of the tool. Note: The tool is still being developed and I reserve the right to refine my scores for devices. I realise that my categorisations aren’t flawless and that my scores could also be in error so for that, I ask for your trust that I’ve refined the categories well and know my stuff when if comes to evaluating a device. If you don’t trust my reviewing skills, don’t use the tool! It would also be impractical and unworkable to break out 20 or 30 categories for each and every feature. Your suggestions during this Alpha phase are welcome though. Here’s some more detail about the categories. Battery life – Working battery life, standby, always-on. Relative to size and best in class. Connectivity – Hard, radio connectivity. USB, BT, ports, wifi, 3g, removable storage. Screen quality – DPI, brightness, reflectivity, colour considered here. Portability – How light/small is this to carry, hand-hold. pocket. Productivity – Includes PIM, sync, remote working and standard office apps. Gaming and entertainment – Considers 3D graphics support, CPU speed, games availability, controls, content availability, flexibility. Location services – GPS hardware, maps, social and navigation software, apps, always on.